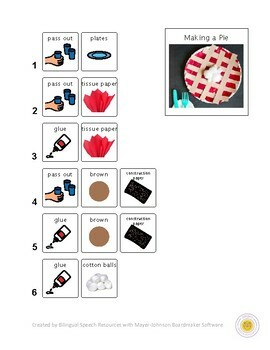 A fun way to celebrate the holidays - We decided to read There Was an Old Lady Who Swallowed a Pie, vote on our favorite flavor of pie and make these easy pie crafts. The students each took on a role, passing out materials and asking one another structured questions (i.e. What color do you want?) 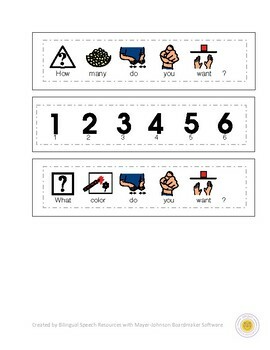 This is a simple collaborative lesson that can be completed in the classroom with the teacher or in an individual pull-out speech therapy session.